The materials and structures research theme encompasses the development of novel materials and their integration with electronics to make smart sensors and systems. 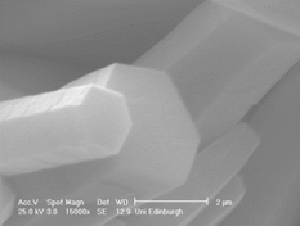 On-going research includes the development and optimisation of silicon carbide microsystems for operation in harsh environments. 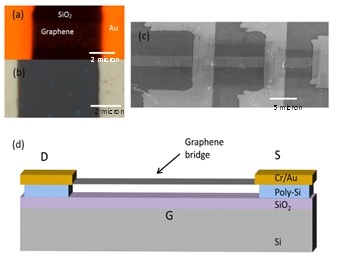 More recent research involves the integration of graphene resonators onto silicon for ultra-sensitive mass sensing applications (figure 1); the growth of zinc oxide nanowires (figure 2), to be embedded into polymers as smart sensors; as well as the development of a multichannel biomimetic microsystem to mimic the function of the cochlea. 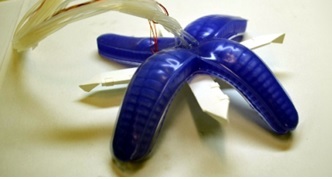 Further, research into the design and fabrication of biomimetic soft systems that incorporate sophisticated microelectronics into novel soft robotic platforms (figure 3) is being pursued.